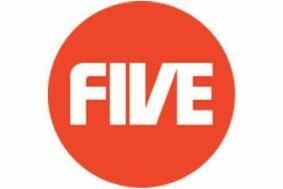 Channel 5 rejoins Project Canvas internet video-on-demand service | What Hi-Fi? Before the channel was sold to Desmond in July for £103.5m previous owner RTL decided to pull out of the joint venture with the BBC, ITV, C4, Talk Talk and Arqiva. But now Channel 5 is back on board, with Desmond saying the web-based video-on-demand service is "set to shape the future of broadcasting". "It will open up new and exciting possibilities for viewers," says Desmond. "This is important to the future of Channel 5 and having an open internet-connected TV platform fits closely with our plans to bring brilliant new content and interactive services to viewers. "We're delighted to renew Channel 5's commitment to supporting Project Canvas following a review of our digital strategy." The BBC Trust approved Project Canvas in June, despite opposition from broadcasters, manufacturers and retailers.